As you may have heard Stonecoast is transitioning to a printed newsletter that will be published twice a year and will likely not have room for publication announcement and other news related updates from community members. So, the SCAA is going to take over the news and updates, which will be published on a monthly basis. To get your info included in the update, please email Robert Stutts and include the words “August News” or “September News” in the subject line. Also, please remember to type your news as you’d like to have it printed in the news post. If there is an associated cover image, you must supply the URL. The news will be published once a month around the first of each month. The first bit of news is that the SCAA is looking for a volunteer to manage the news for the Community blog. All you have to do is collect emails from people, compile their news into a single/monthly post and publish it Easy. If you’re interested please contact Erin Underwood. Erin Underwood (popular fiction, S’09) sold her short story “The Foam Born” the Ticonderoga Press for publication in their new anthology Bloodstones, edited by Amanda Pillar–available October 2012. 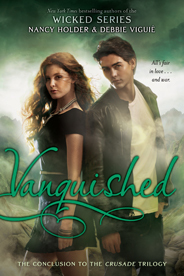 Vanquished, the final book in the Crusade series, by Nancy Holder (popular fiction) and her coauthor Debbie Viguie will be available on August 28, 2013. Hi Julie, we not actually doing it as part of a newsletter. That’s a little more than we can manage with volunteer time. So, we’re going to just do one post per month on the blog. We’ll send out reminders on the Alumni Listserve and on Facebook to help people to remember where to send their news. Also, more on this soon, but alumnus Robert Stutts will be taking over as the News Editor. Thanks so much to everyone who is doing this important volunteer work. It is really appreciated. 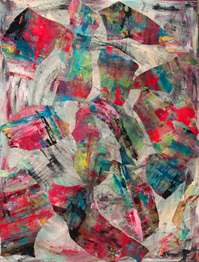 I’m really being a slacker right now in terms of helping–so much on my plate, especially finishing that novel. I’ll help later. Thanks again! Sarah Arnold would like to tell all her colleagues at Stonecoast about her at 3 o’clock this Sunday, Nov. 4th at Gulf of Maine book store In Brunswick from my book, “Faith and Madness,” mostly written as a student in the creative non-fiction MFA program class of ’05. She would love to see any of you who are in range there.